ARM’s Mali graphics technology is being used in multiple configurations of Atom X3, which is targeted at low-end smartphones. The chip, announced at Mobile World Congress, is code-named Sofia and will go into Windows and Android mobile devices priced from under $75 to $249. 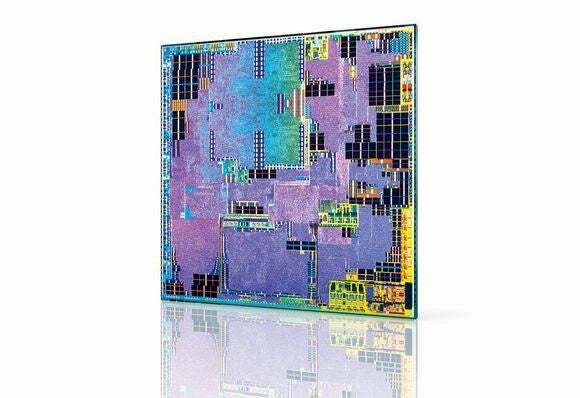 Intel and ARM have offered competing computing architectures since the 1990s, but as the market for mobile devices has eclipsed the PC arena dominated by Intel, ARM’s lower-power microprocessor designs have emerged as the winner in that space. Intel is trying to establish a larger presence in smartphones and tablets, and has done well in the latter; however, its chips are in just a handful of smartphones. An Intel executive minimized the significance of its use of the ARM technology in the X3, indicating that the hookup will not be a long-term relationship. The license for Mali graphics technology carried over from Intel’s acquisition of Infineon Wireless in 2011, and though the technology may be old, the basic graphics suffice for low-cost smartphones, said Aicha Evans, vice president and general manager of Intel’s Communication and Devices Group. Using ARM’s graphics cores doesn’t mean Intel is increasing its cooperation with the company, Evans said. ARM’s graphics cores were ready, cheap and easy to implement, and Intel didn’t have to spend time to develop new low-power graphics circuitry. “If they have more time, they will go back to using PowerVR and Intel graphics,” Brookwood said. Intel is also partnering with Chinese chip maker Rockchip to design some X3 chips. Rockchip primarily sells ARM-based chips for low-cost mobile devices, and their involvement could’ve swayed Intel to use ARM graphics, Brookwood said.